This entry was posted in Streaming Audio and tagged audio on October 14, 2013 by wjlevay. Please consider making a tax-deductible contribution via PayPal. 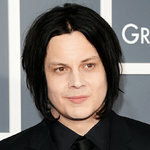 NRPF board member Jack White helped design “The Rise and Fall of Paramount Records,” a boxed set that contains 800 tracks in MP3 format, as well as vinyl records and other materials.